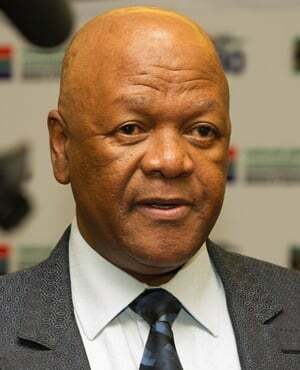 The South African government is concerned about the potential negative impact on the country’s coal mining industry as the energy sector transitions towards a green economy, Minister of Energy Jeff Radebe said at Mining Indaba 2019 on Wednesday. He said the mining sector, as a major consumer of electricity, is inextricably linked to the energy sector in SA. Therefore, it is more important than ever before, in his view, that the energy sector and mining sector talk to each other to ensure to the latter’s future. “Mining is very strategic for the future growth of the SA economy and its people. We believe mining is a sunrise industry in our country, but we must ensure the rising energy cost is brought down so energy can continue to be a catalyst for growth,” said Radebe. Since the bulk of SA’s energy generation currently comes from coal, Radebe said it is important to reskill those working in the coal industry so that they are not affected by the move to renewable energy. “The energy trajectory in SA has to incorporate the natural endowment of resources we have and promote our natural advantage due to these, but also embrace renewable energy,” he said. He said it is, therefore, his department’s role to ensure energy is affordable, sustainable and alleviates poverty, while taking environmental requirements into account. That is why the SA government is investing in research to develop clean coal technologies. “It is evident that the mining sectors must be able to adapt to the new environmental reality and not become victims of new technology, but embrace these as the future. Minister Gwede Mantashe has also pointed this out,” said Radebe.